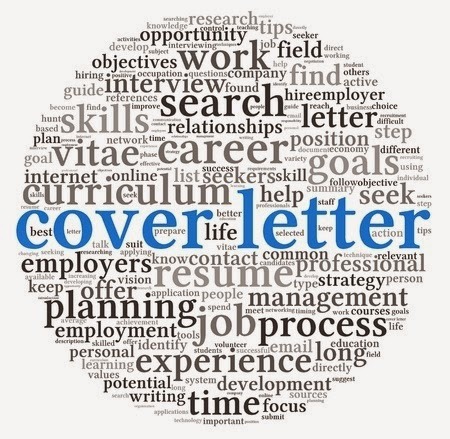 Many people fail to understand the role of the cover letter when applying for a job. To write a smart cover letter, it is important to think like a recruiter and realize what type of cover letter can be different from others. Before you go on to get some tips on writing a cover letter, it is imperative to understand why it is required. The purpose of the letter is to bring a personal touch and create the first impression. It also helps to interpret and complement the factual resume, hence should not be a duplicate of your attached resume. All this makes sense to give the necessary efforts in writing a cover letter. Here’s how you can create a foundation for a job (dream job!) where you can easily fit in. And the first step is definitely creating a killer cover letter to grab your employer’s attention. So, let’s find out how to write that “perfect” cover letter. If you do not know to whom you are writing a cover letter, it cannot bring that personal touch to convey a message…“I’m the right person for the job.” Imagine how much interested you would be to read a letter that is not addressed to you! Hence, address the letter to the Hiring Manager and show him that you have spent some time on finding his customized email id. At the time of introducing yourself to the employer, do not think of any manipulative stories, false promises, exaggerated achievements, etc. Sincerity is a “must-have” factor for every recruiter. You can describe your knowledge, interest, or experience for the applied job. Tailor your letter by telling the recruiter why you want the job and why you wish to work with the company. Once your cover letter has given your introduction, it is the time to talk about your accomplishments and skills in the form of a story. The resume can only list your achievements and skills, but your cover letter can explain them wisely. Hence, use this opportunity to focus on conveying how you got your things done. For instance, when applying for a social media job, mentioning things like you have successfully managed 30 pages and increased traffic by 25 percent actually works. A killer cover letter should be able to send the right message- “You are the right fit for the job” . However, self-praising is not advisable. All you should know is the art of doing it properly. Write a paragraph to explain how you managed your previous projects and deadlines; share some out-of-the-box ideas for a new job role, and mention some initiatives taken in the previous job. This gives an idea to the employer that you could be a promising employee for the company. Be short and polite in writing the ending lines of your cover letter. Like the opening, the end of your cover letter holds high importance. Remember, if your entire information and presentation have managed to attract the hiring manager’s interest, he will call you to know more about you. And your job is done. Your dream job is right there waiting for you! Author Bio: Swati Srivastava is an avid writer who loves to pen down her ideas and professional tips for job search, finding your career goal, and increasing productivity at work. Currently, she is working for Naukrigulf.com.